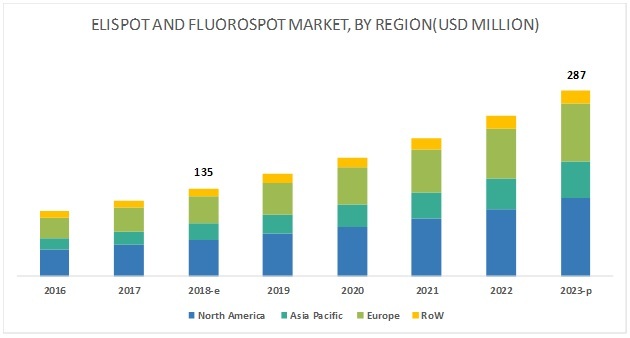 [111 Pages Report] The ELISpot and FluoroSpot market is projected to reach USD 287 million by 2023 from USD 135 million in 2018, at a CAGR of 16.2% during the forecast period. 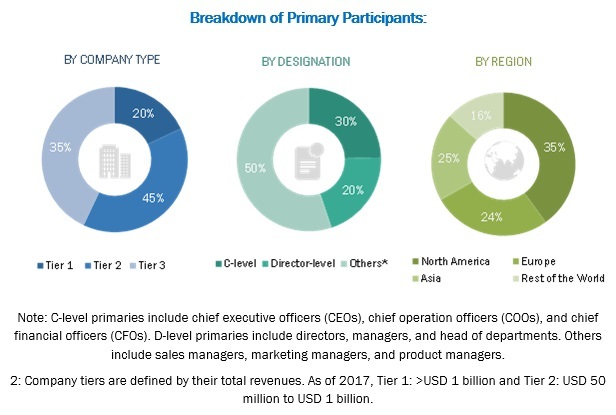 Growth in this market is driven by the rising global incidence of chronic diseases, increasing vaccine development to address the challenge of antimicrobial resistance, and technological advancements in ELISpot and FluoroSpot assay kits and analyzers. On the other hand, the availability of alternative detection technologies is expected to limit market growth during the forecast period. Oxford Immunotec is the leading player in the ELISpot and FluoroSpot market. The company focuses on the development of diagnostic kits for the early detection of diseases such as TB and tick-borne diseases. The company has its presence across the globe and to maintain and improve its presence in the market; Oxford Immunotec adopted both organic as well as inorganic strategies. The company also invests a significant amount on research and development activities. In 2017, it spent around 16% of its revenue on R&D activities, which is higher than most of its counterparts. Cellular Technology Limited (CTL) is among the pioneers of the ELISpot and FluoroSpot assays. The company developed the first ELISpot analyzers and has been leading the analyzers market ever since. It also offers ELISpot and FluoroSpot kits for detection of multiple analytes. The company’s assay kits are available for the detection of cytokines, antibodies as well as other analytes such as granzymes. The analyzers from CTL are able to detect up to 8 colors. What are the growth opportunities in the ELISpot and FluoroSpot market across major regions in the future? Emerging countries have immense opportunities for the growth and adoption of ELISpot and FluoroSpot products. Will this scenario continue during the next five years? What are the various ELISpot and FluoroSpot product types and their respective market shares in the overall market? What are the new trends and advancements in the ELISpot and FluoroSpot market? The study involved four major activities to estimate the current market size for the ELISpot and FluoroSpot market. Exhaustive secondary research was done to collect information on the market and its different subsegments. The next step was to validate these findings, assumptions, and sizing with industry experts across the value chain through primary research. Both top-down and bottom-up approaches were employed to estimate the complete market size. Thereafter, market breakdown and data triangulation were used to estimate the market size of segments and subsegments. After arriving at the overall market size using the market size estimation processes the market was split into several segments and subsegments. To complete the overall market engineering process and arrive at the exact statistics of each market segment and subsegment, the data triangulation and market breakdown procedures were employed, wherever applicable. The data was triangulated by studying various factors and trends from both the demand and supply sides in the ELISpot and FluoroSpot industry. 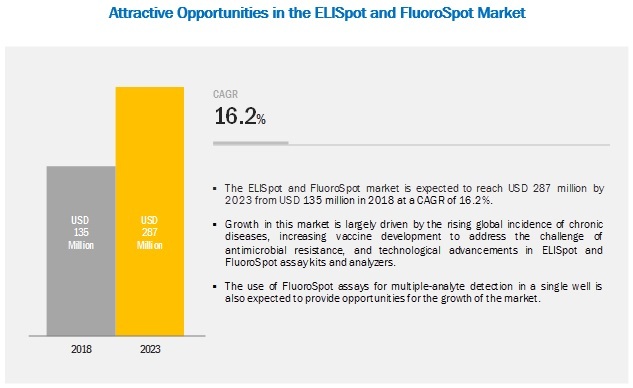 To track and analyze competitive developments such as partnerships, agreements, collaborations, acquisitions, product launches, and research and development activities in the ELISpot and FluoroSpot market.